A New Mini Halloween Bear! I'd love for you to meet Tricksy! Tricksy is my last Halloween bear for this year. 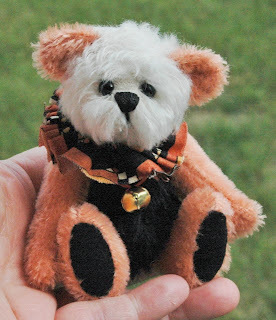 He is a miniature mohair bear at 4 3/4" tall. to the regular price of $110 plus shipping. 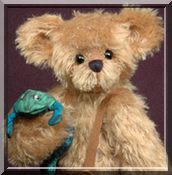 I hope you enjoyed meeting Tricksy! Summer is definitely over here in Kentucky. At least it's just autumn right now, and not winter yet! 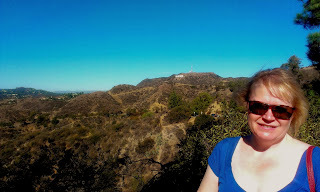 Steve and I spent our first day at the Griffith Observatory and in Hollywood. 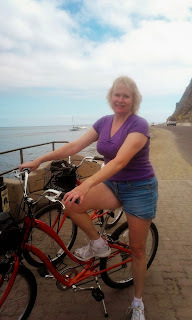 The next day we visited Santa Monica and Venice Beach. Venice Beach wasn't so crowded on a Monday LOL! Here's a few of the photos (instead of the 350 I took). I hope you all have a great weekend - I'll be working at my "day job" LOL! The Bears are Back... and so am I! Happy Monday! I am happy to say that Benny + Petunia have found their new homes. I had taken Xander and Roxie off my site as we were on a nice vacation and I didn't want to have any shipping delays. I just put them back on the site. If you were interested in them but thought they had already been adopted, you can find them again here on the Available Page. I just got back from a wonderful vacation in sunny California! Xander and Roxie wanted to come with, but I had to be firm with them. We didn't even take Sequoia our chihuahua LOL! 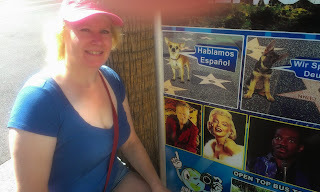 We stayed very busy, visiting L.A., Hollywood, Catalina Island and Santa Barbara. Now that I am back, I'm working on editing my trip photos, but can't resist working a bit on bears too. Thanks for your interest in my "fur kids"! "The Kids" are on eBay starting at $49.95! Auctions tonight around 11:30 EST. It's been a while since I've visited eBay and decided to have some fun! 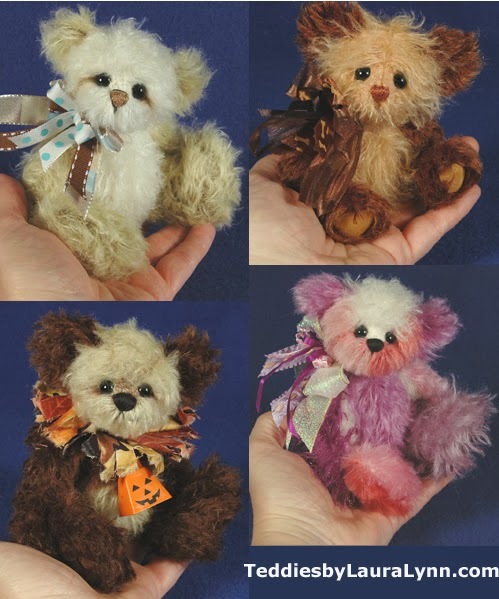 4 New Mohair Teddy Bears! Good morning and Happy October! Yesterday I was able to photograph and list my 4 latest little bears available for adoption. I'd like to introduce you to Xander, Petunia, Benny + Roxie.